Why would anyone want to travel in winter? That may be the question in your mind right now, but the fact is that there is so much going on in Europe during the winter months! 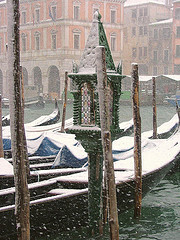 In spite of the cold and snow in some places, a winter trip to Europe could very give you the experience of a lifetime. Indeed, in some cases, it is the snow that will draw you to certain destinations. So what can you do in Europe during the winter? Christmas markets! These markets are all over the continent during winter, and they are the best in the world. Some of the most popular Christmas markets can be found in Denmark, Germany, Switzerland, and Austria. You can even take a river cruise to visit all of these markets during your trip. Skiing is another reason to visit Europe during winter. Some of the best ski resorts in the world can be found in European countries. There are legendary ski slopes and glaciers that can only be found in Europe. Check out the French Alps and Scandinavian countries. Winter in Europe is not all about the snow – countries such as Italy, Spain, Portugal, and Greece have southern areas which only get balmy. During this season, traveling is great as there aren’t as many tourists around. This means you get to experience the local food and culture without the crowds. Of course, there are the countless festivals and carnivals that occur during the winter months. The carnival in Venice is perhaps the most popular, even though it has become more commercialized every year. You can also go to Bern for the Waking of the Bear Carnival. There is no shortage of carnivals during winter – you can even plan your trip around them! What Countries Should I Visit in Europe? I spent a week in December exploring Italy one year and it was really the perfect time to be there. Not only were the crowds minimal but everything was festivally kitted out for the holidays (especially those christmas markets you mentioned). It was chilly but well worth it to beat the swarming summer hordes. About half of the time I’ve either lived in or visited Europe has been in the winter. I love it! It’s worth it to miss the crowds and elevated prices. Visiting the Munich Christmas market has been one of my favorite traveling experiences of all time. One good reason for visiting Europe in winter time: low air fares! Farecast.com is now Bing.com. When checking out air fare prices, see the tip predictor on the to left corner of the screen. It will tell you whether to wait or book soon to lock in a good deal.